I’m sharing some shimmer today. 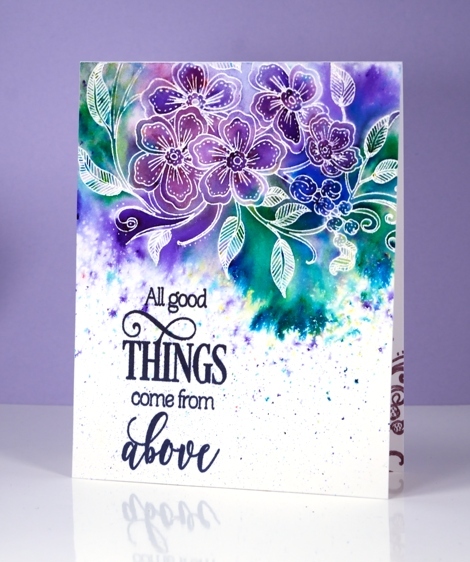 Finetec artist mica pearl watercolours are very shimmery particularly on a black base. 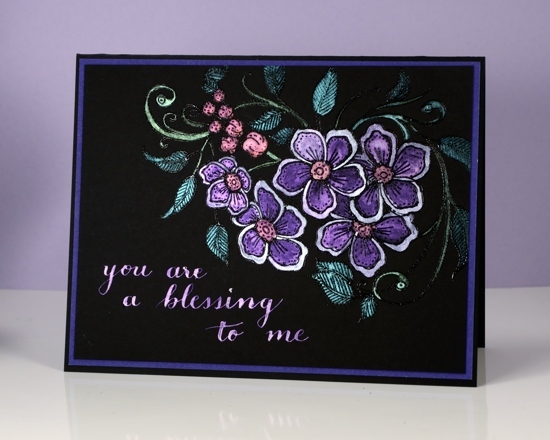 I worked on Neenah epic black cardstock and started by embossing the new outline image ‘gladsome’ in clear powder. The finetec pearl watercolour set has twelve colours so I chose a few and a small round watercolour brush to paint inside the lines. It is hard to capture all the shimmer and shine in a photo but the mica pearl paint looks lovely as it catches the light. 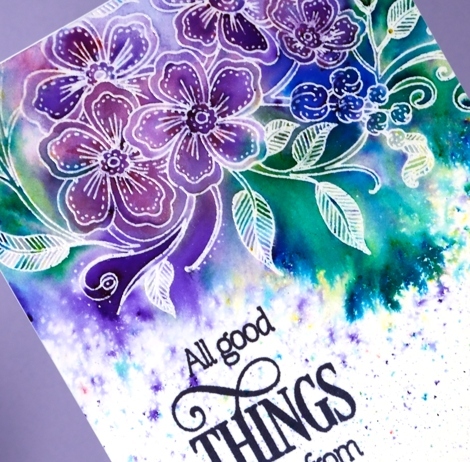 This is the type of card you need to tilt back and forth to see all its prettiness. 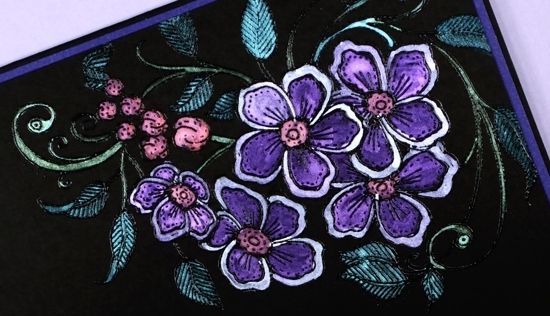 I wanted to keep my sentiment co-ordinated so I used a nib pen and the same violet paint used on the petals. This is my second card with the ‘gladsome’ stamp; I like to get a range of different looks from one stamp. I think this one will be appearing again.